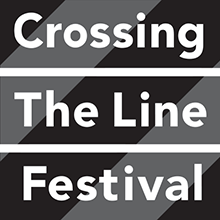 Launched by FIAF and the Edmond de Rothschild Foundations during Crossing The Line 2016, BRIDGING explores issues of equity across cultures. Involving performances, a residency, and discussions, this year’s program centers on the practice of dancer, choreographer, curator, and activist Syhem Belkhodja, who uses movement to empower youth and young adults, combat violence, and effect social change in Tunisia. It also features iconic performances by choreographer Nacera Belaza. This program stages a dialogue between the North African and African-American social and artistic contexts, by way of conversations between choreographers and cultural theorists focusing on youth, community, and diaspora. The symposium is curated by Omar Berrada. Syhem Belkhodja (choreographer and activist, Tunis) in conversation with Simon Dove (Crossing The Line co-curator). A conversation between Meryem Jazouli (choreographer and founder of Espace Darja, Casablanca) and Paloma McGregor (choreographer and co-founder of Angela’s Pulse, New York), moderated by Omar Berrada. Nacera Belaza (choreographer, Paris and Algiers) in conversation with Brent Hayes Edwards (literary scholar and translator, Columbia University). Following her work on madness in Morocco, Stefania Pandolfo (anthropology, UC Berkeley) presents a lecture exploring the links between subjectivity, performance, and the ethics of witnessing. Omar Berrada is a writer and curator, and the director of Dar al-Ma’mûn, a library and artists residency in Marrakech. He teaches at The Cooper Union where he co-organizes the IDS Lecture Series.